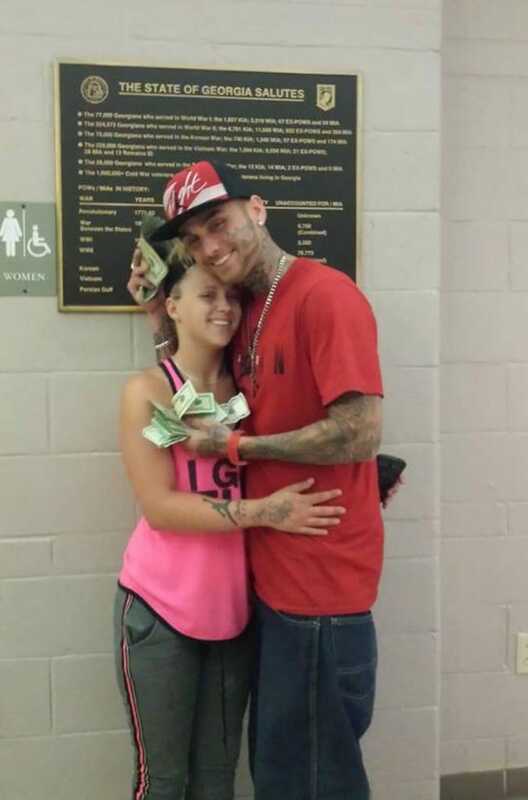 Making their stellar foray into tabloid fodder is the uncompromising visage of dual bank robbing couple, John Mogan, 28 and his girlfriend, Ashley Duboe, 24 who were arrested after posting delicious photos of a recent Ohio bank robbery the couple were involved in. Bravo right? 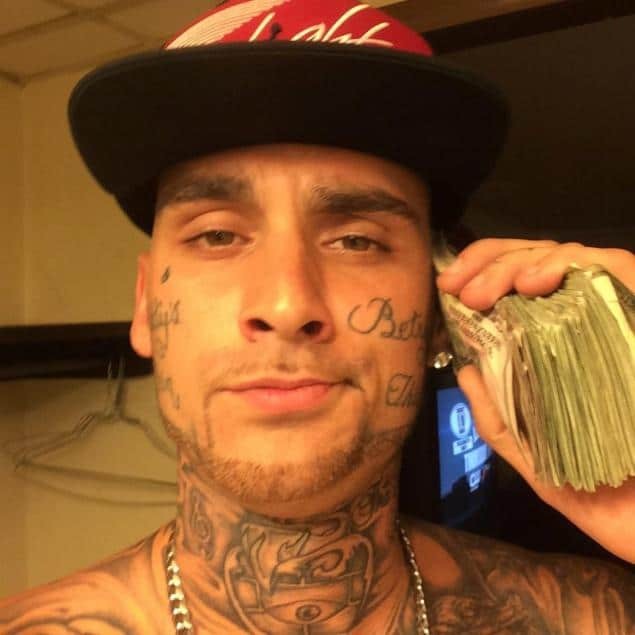 Taking to Facebook our collective hero, John Mogan couldn’t help but resist showing off the wads of cash he had ripped off and naturally in the process help alert authorities after tip offs. 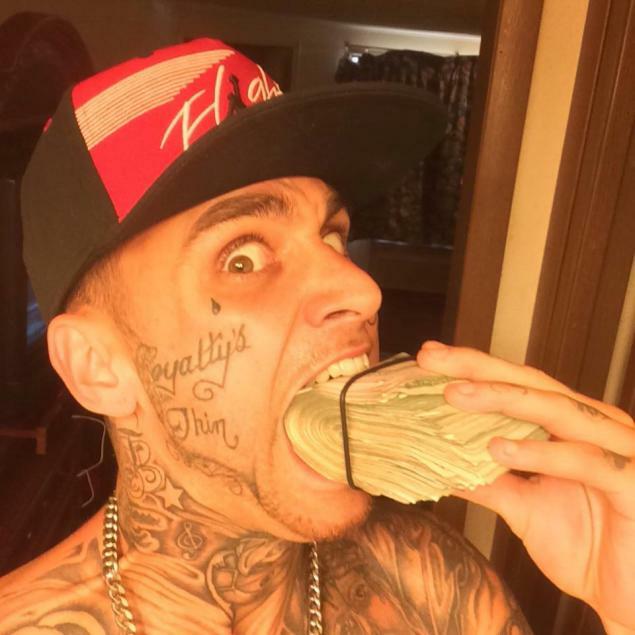 In one yummy photo uncovered by The Smoking Gun Mogan pretends to eat a stack of money (and soon to be jail sentence) and talk into a pile of dollars like a phone (who knew cash could talk back?) 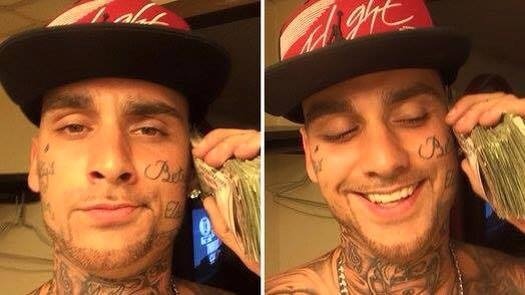 amongst other photos our happy go lucky bank robber posted on Facebook. The pictures turned up just days after an Ashville bank got hit last month, helping investigators crack the case, Pickaway County Sheriff Robert B. Radcliff told the Circleville Herald Wednesday. Sleuthing of the case would be made easier after investigators figured out Mogan’s parents’ residence in the town is roughly 20 miles south of Columbus along with a prior prison time (5 years) for a different bank robbery (yes kids the tell tale clues were bubbling under the surface). 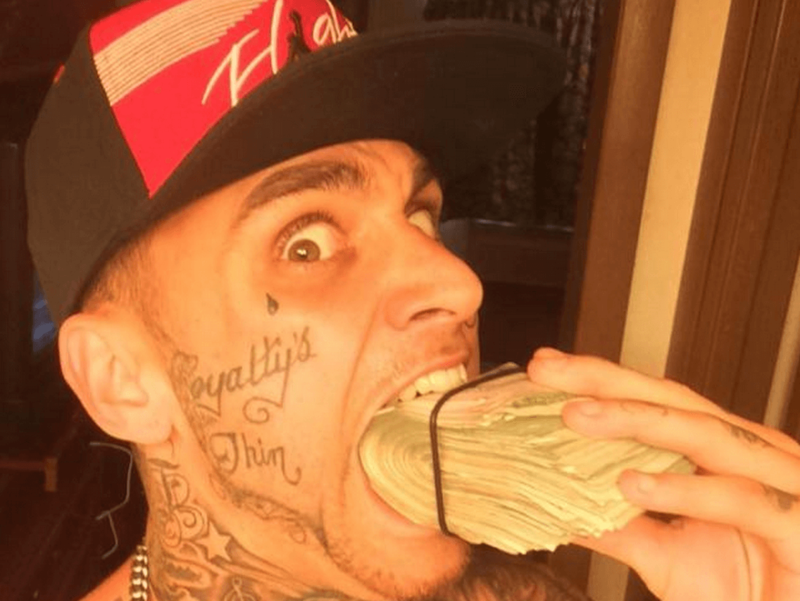 Interestingly Mogan’s latest crime spree came after having made parole in July. Since his arrest, our collective hero faces probation violation, robbery and theft charges, whilst Mogan’s hapless girlfriend was hit with a theft and robbery rap. Appearing in court on Monday, our collective sunshine waived his right to a preliminary hearing. Both Mogan and his photogenic partner in crime were jailed pending $250,000 bail. Yes kids even bank robbers and your local criminal can’t help bask in the spotlight and thanks to social media and the push of a button you too can send yourself to infamy. Just dial 1 800 Where is jail? ‘Oops! Did I just fxck up?’ Pictured Mogan and his hapless girlfriend, Ashley Duboe.